whichever seems to work best with the page. I worked on this layout last night. I combined masking and embossing for my title work. Here is a detail shot. First, I softly adhered some Pink Paislee Hometown Summer alpha stickers. Then, I coated the page with some MayaRoad Bubblegum mist and waited for it to dry. After I made sure it was dry, I carefully pulled off the letters. I used my new Zig embossing pen, to color in the negative image and then I covered it with white Zing embossing powder. I used my heat gun that my sweet Mother-in-law let me borrow to set it. I really love the way it turned out. I changed my blog layout to hopefully allow for bigger pictures. I always feel like you can't see the detail in the photos when I make them fit inside the margins. I'm currently typing as I sit next to an ornery toddler who is refusing to eat her dinner. We've been here for 45 minutes. Well I'm off to bake some well deserved cookies for me, myself, and I. Gorgeous!! What a fun technique - I really like the banner too! 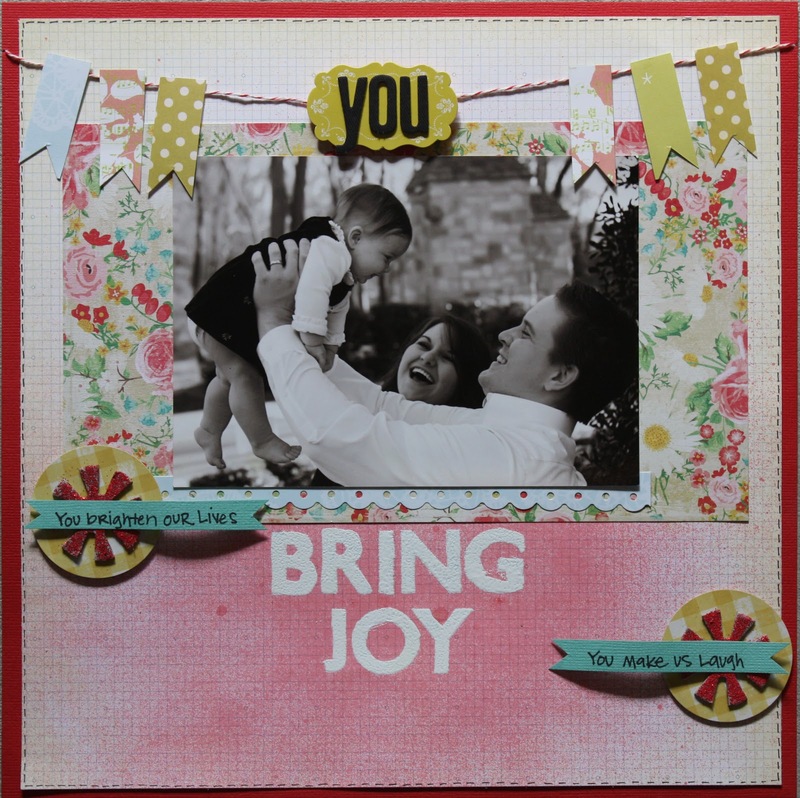 LOVE the photo and the expressions on your faces:) And love all the bits and pieces on this layout, fantastic!